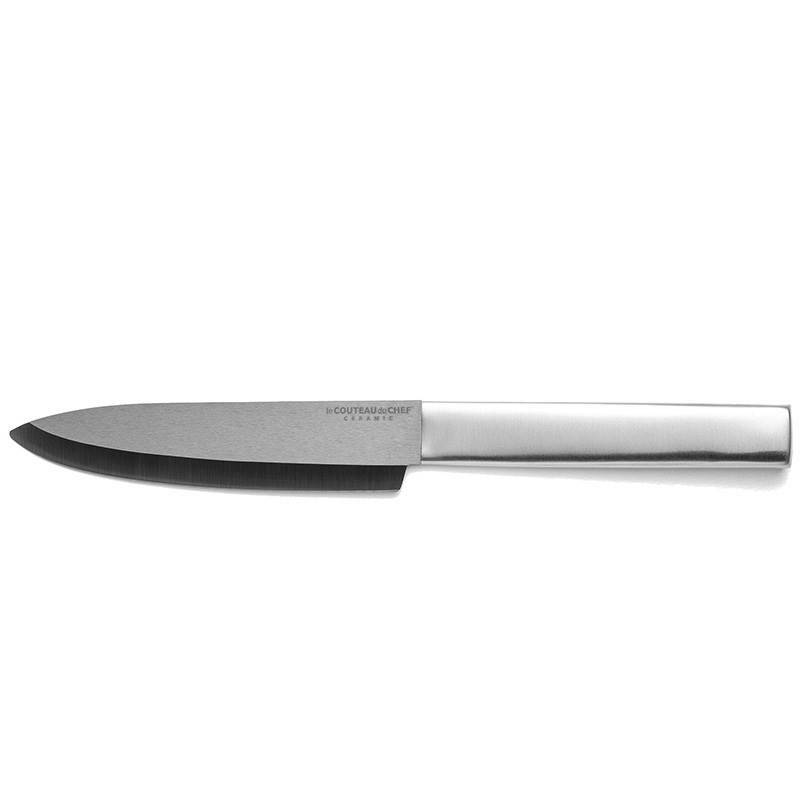 Beautifully designed by the teams of French cutler TB Groupe, this pro chef knife from the Urban range will surely have a special place in your kitchen. 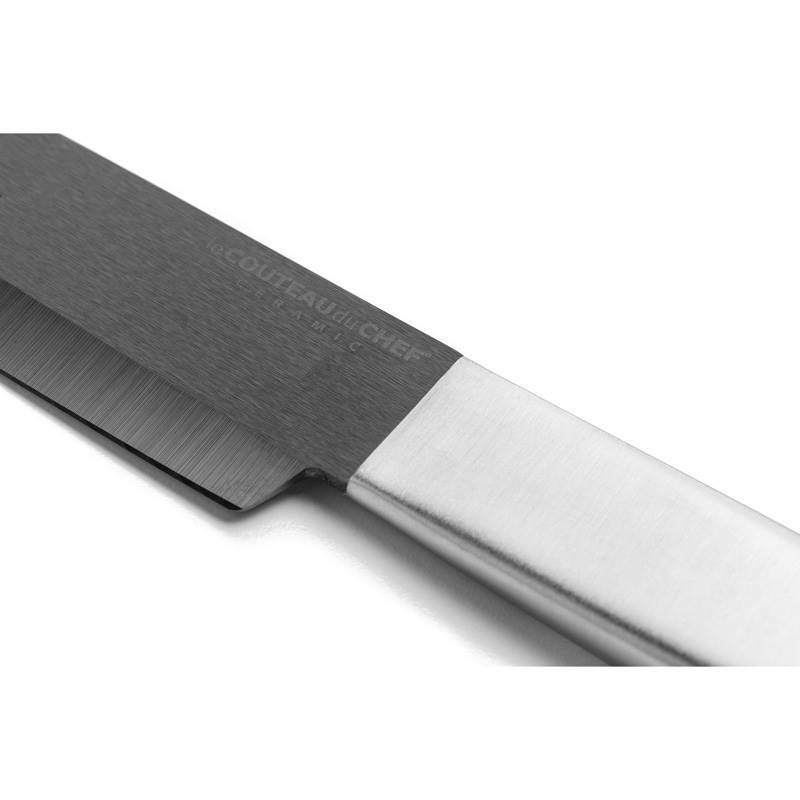 Thanks to a very hard and breathtaking sharp edge of its black ceramic blade, the cutting characteristics are amazing. 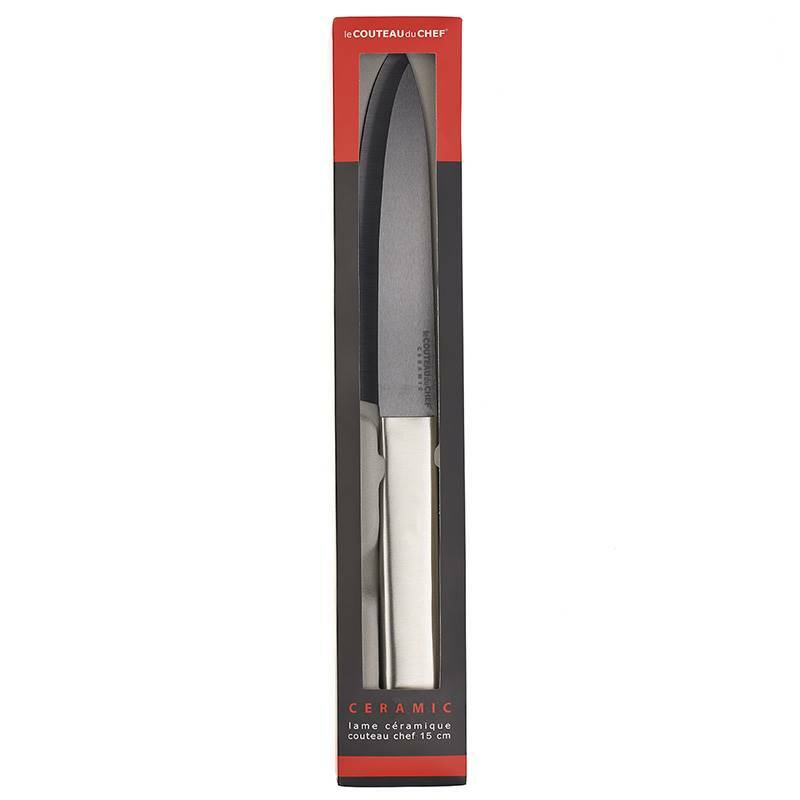 The chef knife with its black ceramic blade is multi purpose and can accomplish all tasks in the kitchen. It is ideal to cut, mince and chop meat, fruit and vegetables. 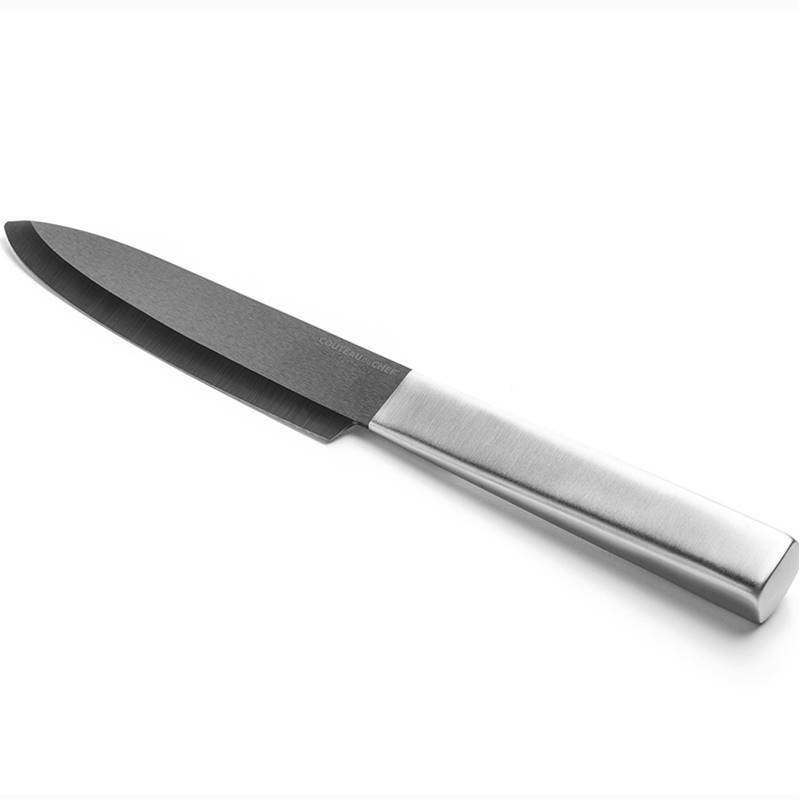 The black ceramic is made of zirconium oxide and carbon; this alloy ensures a fabulous hardness to this exceptional blade. 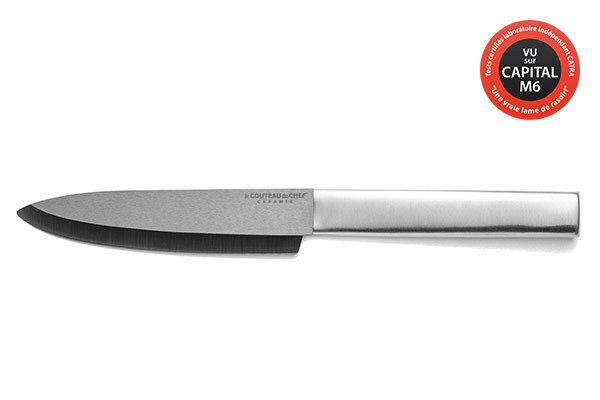 Its stainless steel handle with urban design gives this knife a pro chef knife look.